To email me click on the picture of the Prinsendam, or click here for address! For those who cannot see the picture with my email address: N 1 E A at A R R L dot N E T the second character is the number one, it is my amateur radio FCC license call sign, N1EA. 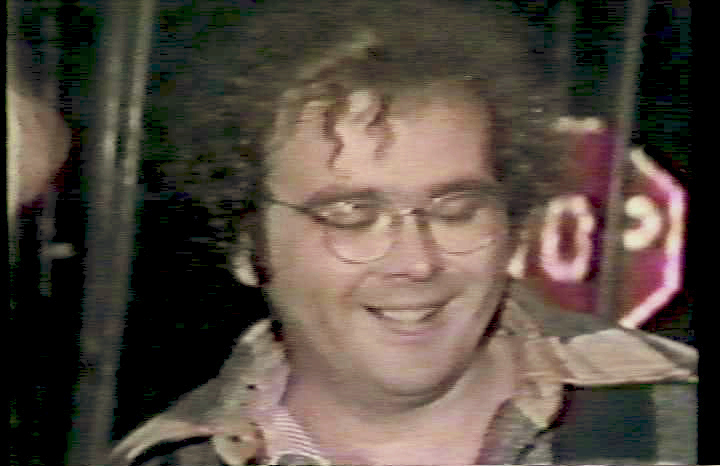 Picture of R/O David Ring during CBS-TV interview with Susan Spencer, Valdez, Alaska, upon arrival on the night of October 6, 1980.
ms Prinsendam (call sign PJTA) was on fire and burning out of control in the Gulf of Alaska on Oct. 4, 1980 when James N. Pfister, NS1L and David J. Ring, Jr., N1EA, both Radio Officers on the USA flagged 'super-tanker' Williamsburgh (Call Sign WGOA) picked up her SOS. See the Manuscript Log of WGOA ! According to Mr. Jack van der Zee the Chief Radio Officer of the Prinsendam , the satellite communications failed during the rescue, but Morse Continued to operate. SOS signals from this rescue were received as far away as New Zealand (ZLB). During the next approximately 20 years, the value of Morse Code was trivialized and minimized. The Commanding Officer of one Coast Guard Communications Station (Boston NMF) said that the maximum range of Morse Code sent on the distress frequency of 500 kHz was 100 miles, maximum. Later comments by the Coast Guard hinted that Morse Code was like a "secret handshake", if you know it you are in. Regrettably, those that know how well Morse works, are those who can copy it. Others must accept what we can demonstrate by using it. The Prinsendam which was built at Shipyard de Merwede in the Netherlands in 1973. That ship was 427-foot-long and typically carried about 350 passengers and 200 crew members. The liner was transiting through Gulf of Alaska waters, approximately 120 miles south of Yakutat, Alaska, at midnight on October 4, 1980, when fire broke out in the engine room. The vessel's master declared the fire out of control one hour later and the Prinsendam sent a radio call requesting immediate assistance. 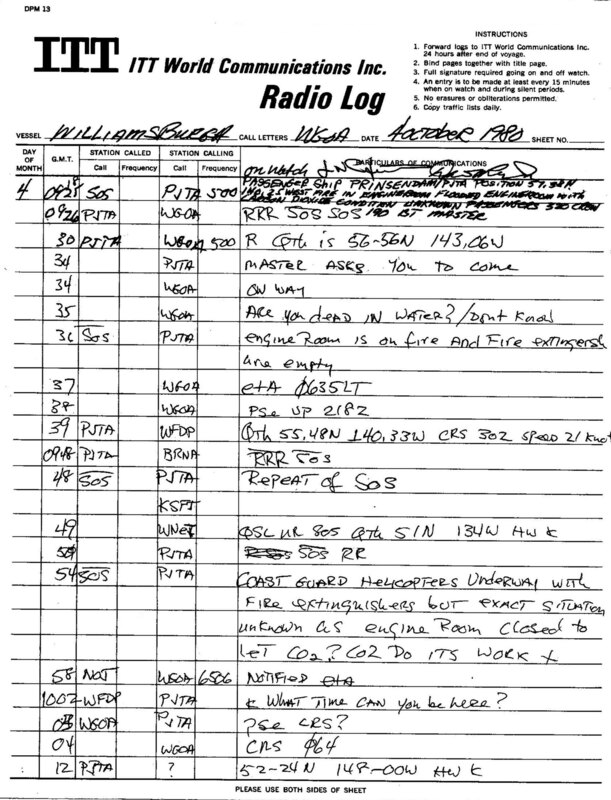 The United States Coast Guard at Communications Station Kodiak, Alaska (NOJ) requested that the ms Prinsendam send out an SOS, the Captain declined, but Chief Radio Officer, Jack van der Zee sent out one anyway about a half hour later which resulted in the alerting of nearby vessels, such as the 1100 foot supertanker, Williamsburgh which was operated by Avon Marine of Lake Success, NY. Jack v.d. Zee kept this secret until just before his death because what he did could have resulted in loss of his Radio Officer's license - but by doing what he did, he was responsible for saving the lives of all aboard. The Queen of the Netherlands was just about to give Jack lifetime knighthood for his actions when he died. Jack van der Zee is a true hero of the Netherlands. Popular Mechanics Article about the Prinsendam rescue. A copy of my comments that were given to the United States Congress' Merchant Marine & Fisheries Committee can be viewed here. A copy of the presentation to the US Congress is available here. http://www.lusitania-gb100mfa.uk/ This is the Radio Officers Association special event station GB100MFA about Lusitania. American Radio Association This is the USA trade union representing sailing radio officers, they are looking for good men to sail ships as radio officers electronic technicians and the upcoming ETO - Electrical Technical Officer rating. 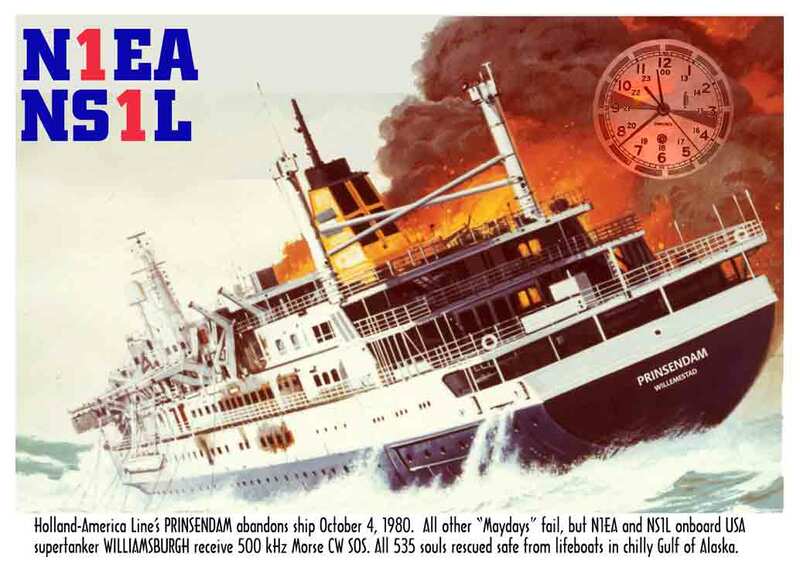 This is a MP3 file of the actual SOS sent by ms Prinsendam on 4 October 1980. Closing of UK WT stations This is a MP3 file of the actual final messages sent by GIL, GLV, and GNI - hear DAN, PCH and many others send their last "73"
Radio Officers will remember the nostalgic feeling that we felt when first hearing the "telegraphic beacons of home" when returning from a long foreign voyage. Titanic / MGY This is a WAV file which recreates the spark signals of the Titanic/ MGY which was supplied by Mr. Edward M. Gable, K2MP who is the Museum Curator of the Antique Wireless Association, Inc. which recreates the CQD and SOS from Titanic -:- Copyright 1999 AWA all rights reserved - used with permission. Morse Code, Thunderstorm and Rain. A recording made around 1988 by Edward A, McCarthy, W1YT of N1EA maritime mobile in the Gulf of Mexico and later modified by N1EA by mixing the sounds of a thunderstorm and rain. 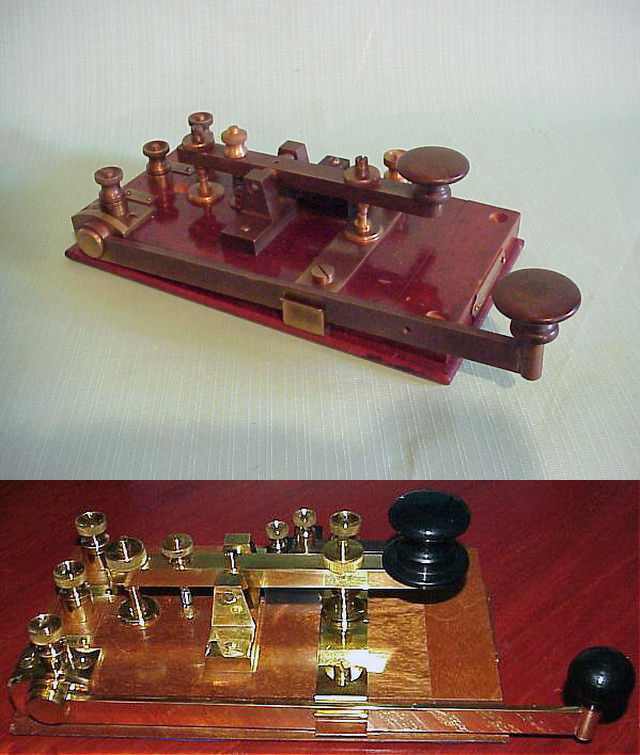 Many say it is very relaxing and makes Morse code reception practice easy and interesting. NEW! How to send with a sideswiper! N1EA Version of How to send with a sideswiper. INTERNATIONAL SideSwiper Net -- Nets held in Europe, North America, Australia-Pacific-Japan, and Trans-Atlantic Net - started many years ago by Bob Shrader, W6BNB, now Yann, F5LAW conducting the net scheduling! See Web Page for days and times. NEW! Care and Feeding of Semi-Automatic key. How to set up, adjust, and send with a Vibroplex type semi-automatic key. Includes often overlooked problems with loose or rusted connections, bad ground contacts, intermittent connection of the dot contact spring. INCLUDES VALUABLE ADVICE OF "ROLLING THE WRIST" nearly forgotten method used by professional telegraphers to avoid repetitive motion injury while sending. One book I particularly liked was a fiction book loosely based on the author's experience on Sable Island, VCT (MCT was their earlier Marconi call letters because they began with "M") -- called "The Nymph and the Lamp" by Thomas Raddall a Canadian author who lived in the Annapolis Valley near Halifax, Nova Scotia. I typed up some of the most interesting parts dealing with Morse Code in this file. Extracts from "The Nymph and the Lamp" by Thomas Raddall. My QSL card took me quite a bit of time, I got permission from Popular Mechanics to reprint the cover photograph they used in their edition in which they printed the Prinsendam story, composted a radio room Chelsea clock in the background, added wording to the front, then on the back. I also made a font called Telegrapher's MILL font (Right click, Save to Desktop, go to Desktop, left double click, use "Install Font" under "File" in menu on Windows to install). I based this font on a scan of my Royal Empress Manual Telegrapher's typewriter and used it. QRZ Search from Firefox! When you click on the icon at the right of Firefox's main navigation address bar for the currently selected search engine you will get a list of the search engines you have installed, and there will be a selection to add the plug-in available through this page. When you select the option to add the plug-in, it will be installed in your browser and activated. You should see the icon for the new search engine. Now when you look at the menu, you will see the new "search engine" on the list. You can now do searches using that "search engine" by typing what you're looking for in the search box and hitting ENTER. In this case, you can enter a call sign and it will show you the QRZ page for that call sign. Thanks to KG4ZOW for this. Buzz on over! Join the Queen Bee Network! Remember the group on 7.038 MHz? They are nearly all silent keys now. The QUEEN herself, AB5TY, Macalee Hime passed away June 19, 2015. Her Washington Post obit. She had a 2 element 40m beam and a great signal into New England at night. I miss the sound of great semi-automatic bug (Vibroplex) working! W4FOK's Morse Code program teaches American Morse and International Morse: The MILL. Bob Shrader, W6BNB on Telegraph Keys (PDF file). G0NVT --- Phil Boyle's Marconi reproduction keys see his Guillotine Marconi key! The Marconi museum key is on top, his is on the bottom. Also from DU1ANV, the Slim Jim antenna. Junker! 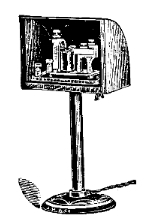 The World's best made telegraph key. Simply a masterpiece! Buy one here! HF Air Tfc Radio - Listen Live over internet! The new book about Canadian Maritime Communications, Come Quick Danger! Spud Roscoe's (VE1BC) book "Maritime Memories" which was the source material for Come Quick Danger! MRX Morse Code CW Com Program Morse over Internet Simply an amazing program! You must download this program! MRX Morse Code Decoder This is in it's Pre-BETA stage, but download it and report bugs to author. Great Potential! Leslie "Laci" Radnay, W1PL (SK), A Very Interesting ham.